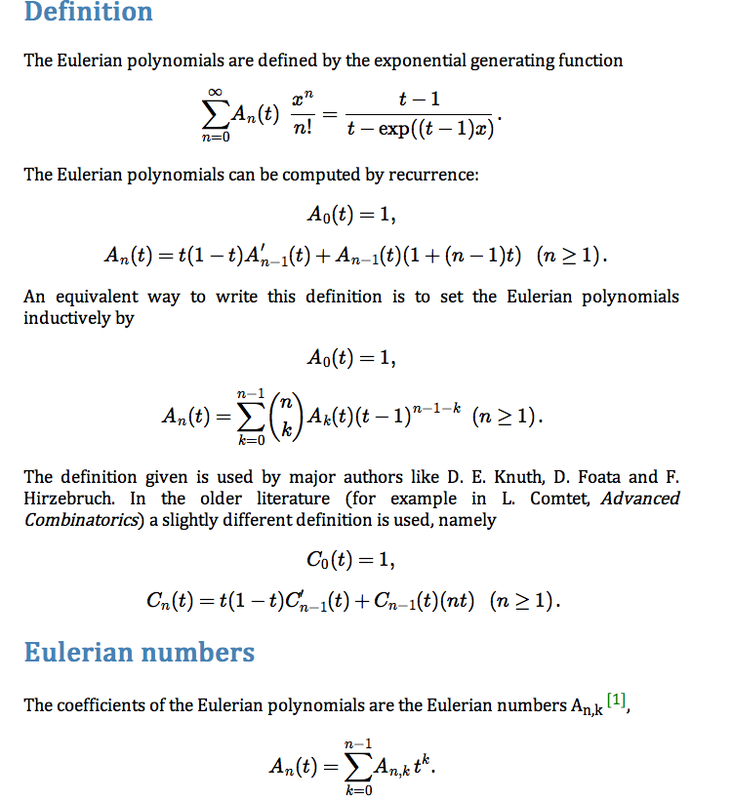 This page compares three web-versions of this article Eulerian polynomials (pdf). They all should look like more or less the same in your browser (see the links below). The difference is in their representation as web pages. I recommend to install good math fonts before proceeding. 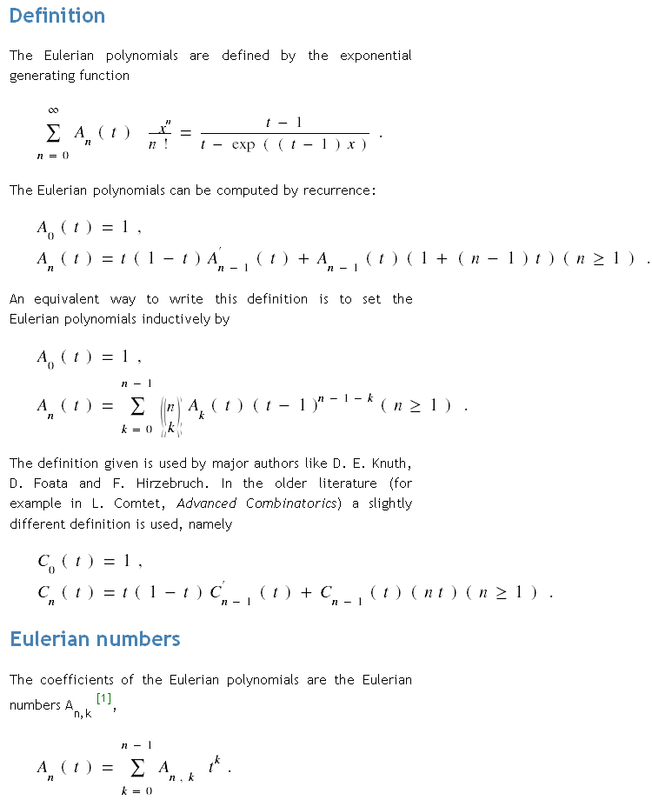 MathJax, a display engine for LaTeX and MathML. After installation the items in the following list should all display in your browser. For writers new to TeX this Wikipedia cheat sheet is helpful. Basically you have three options when implementing a mathematical page on the web: to use equations images, to use a script based display engine like MathJax or to code in MathML, a XML dialect. 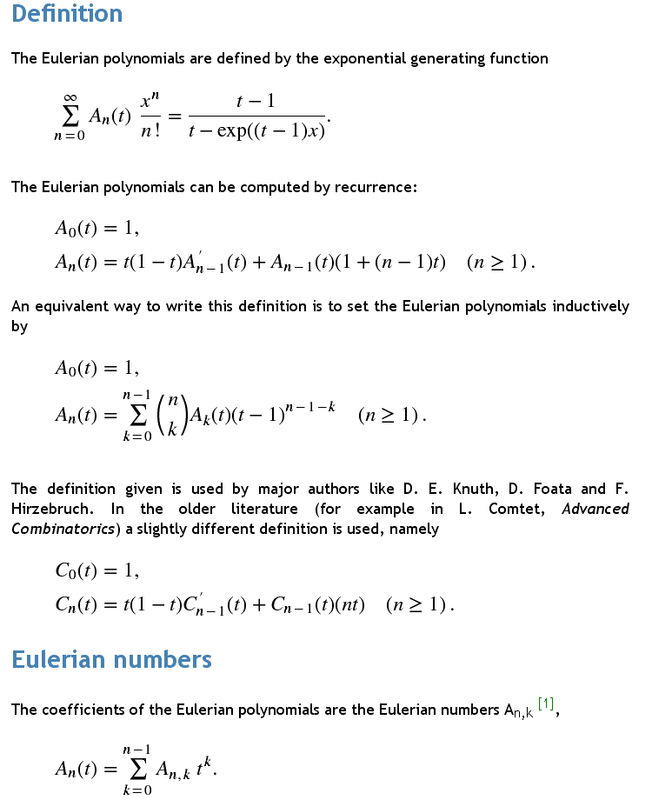 However, MathML is a low-level specification designed for describing mathematics for machine to machine communication and equation images do not scale with the surrounding text. Thus MathJax seems to be the most attractive way to go. The three implementations of the article illustrate these three approaches. Use Safari with MathJax and the Cambria font for the text if you want the best and most pleasing results. Use Firefox 4 with MathML and the STIX fonts otherwise. You will need a good engine to transform TeX to MathML (some TeX editors will provide this feature). The Explorer blends images and the Trebuchet font quite well. However, using images is only a poor substitute for the other two options. Here three other test pages using the MathJax-setup. Is the Gamma function mis-defined? 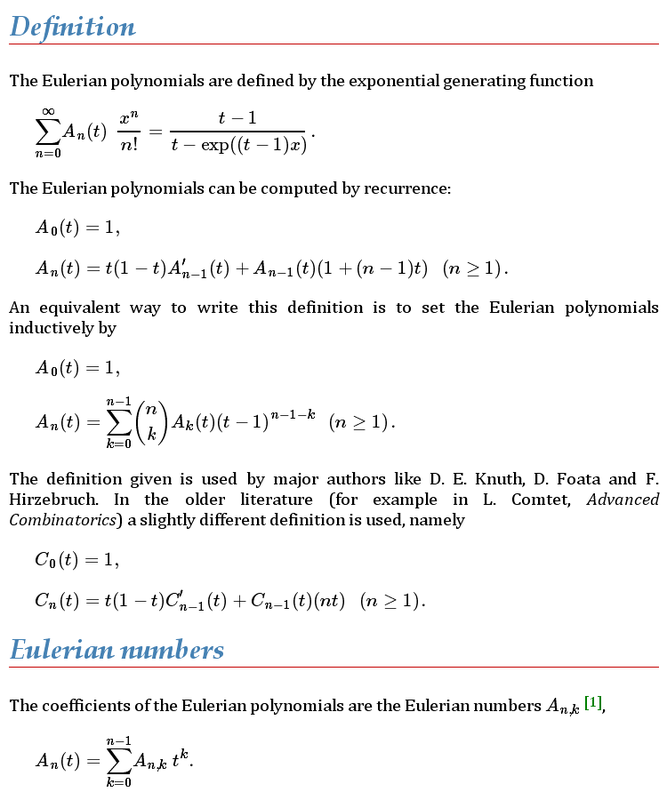 Hadamard versus Euler — Who found the better Gamma function? Acknowledgment: I would like to thank Davide P. Cervone for pointing out a bug and a misconfiguration in my initial setup.